Today, $500 is a budget big enough to buy a super-spiffy camera, which would have been unheard of five or ten years ago. If you had asked me a few years ago to give you a good selection of the best DSLR cameras under $500, I would’ve struggled to make a half-worthy list. But today, thanks to the speed with which digital photography improves and prices fall, it has become considerably easier. However, with all the options out there, it can be incredibly difficult to find the one that suits your purpose and requirements. In this article, we will describe our favorites and compile a detailed list of the Best DSLR Cameras Under $500 to help you choose the one that is most suitable for you. If a DSLR is what you are looking for, here is our choice for the 10 best DSLR cameras under $500. 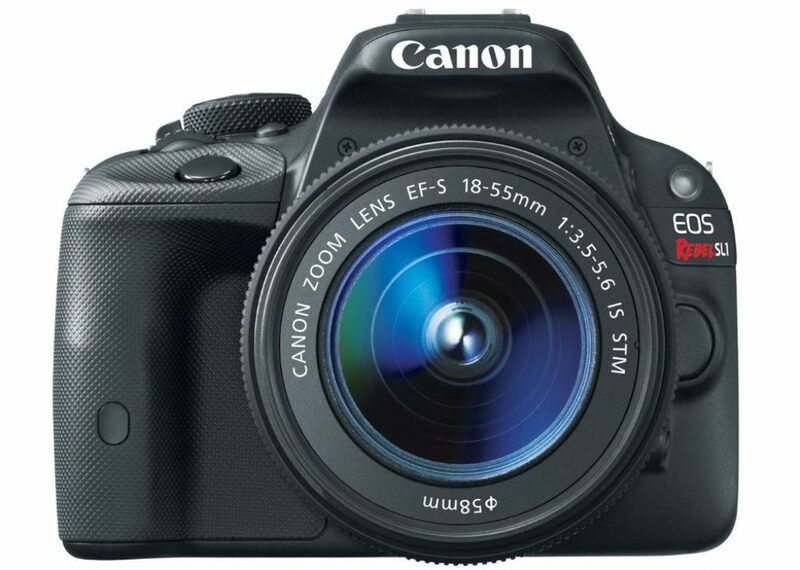 You can not go far wrong with a Canon DSLR at the entry level, and the Rebel T5 is no exception. It even has a completely manual exposure control, which is not typical of EOS cameras for beginners. We saw the Rebel T3 DSLR long ago in 2011 and then came the long-awaited Canon T5. I think it was worth waiting for the new and improved 18MP sensor like nothing else. But there’s more. The Rebel T5 also gives us a greatly improved ISO range (up to 12,800) and larger images with higher resolution. There is also a striking improvement with the HD video and recording options. I like this camera for all kinds of reasons. It feels good in the hands, thanks to the ergonomics and rubber grip. It is a simple design with advanced functionality and intuitive operation. 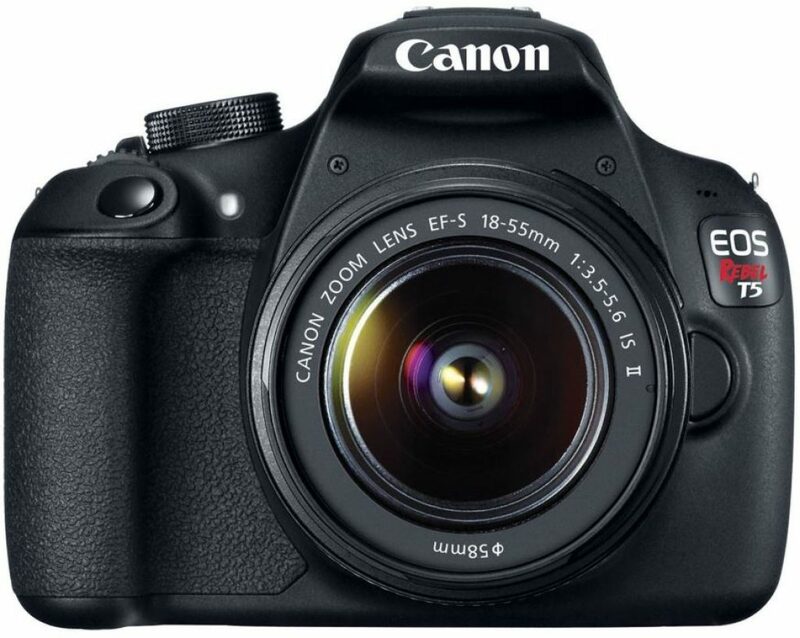 You can also choose Canon’s EOS Rebel T5i if you have 170+ extra dollars. The T5 comes to just under $500. 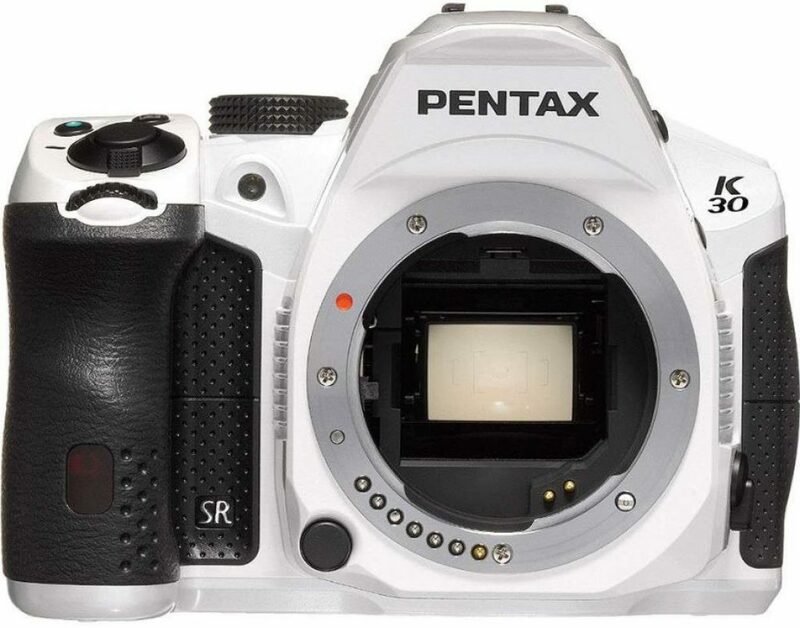 The main differences are the hinged touchscreen of the T5i and extra burst recordings. Both cameras are almost in line with each other and are one of the best DSLR cameras under $500. I know that the look and feel of a camera can to a certain extent be subjective. Still, I have to say that the Nikon D3200 Digital SLR is one of those lightproof boxes that I can not put down. This device takes a lot of value, but then it comes in with just under 500 dollars. The massive 24.2MP sensor is the APS-C DX format with the highest resolution from Nikon and lives in this entry-level SLR camera. Budding videographers love the enhanced features of the older Nikon D3100. There is much more control over exposure settings and audio. The LCD screen is also an improvement over its predecessor. I got the impression that Nikon had this camera with the novice in mind. The controls are well placed, simple and intuitive. They have even expanded the guide mode, which is a pleasure to discover. Anyone who does not want to spend a small fortune on a digital SLR camera might want to hold it. It is fully compatible with a wide range of Nikon AF-S/AF-I lenses, from ultra-wide angles to telephotos. Overall, this is one of the best DSLR cameras under 500 dollars. 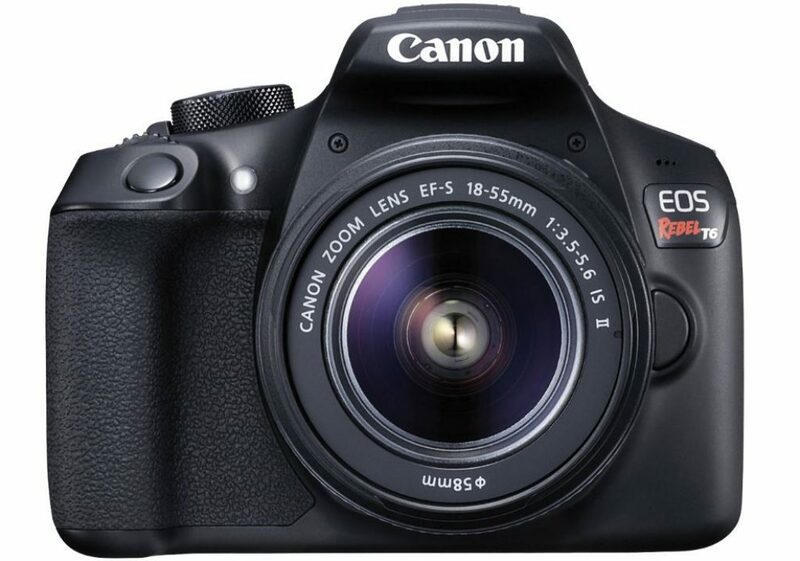 This is the Canon EOS Rebel T6 entry-level digital SLR. If you are familiar with its predecessor, the T5, you will certainly notice the brighter, clearer LCD screen. Small upgrades like this make a big difference. The Rebel T6 is perfect for those who are serious about image quality but are not necessarily passionate about photography. It is more versatile and produces better pictures than compact devices and smartphones. I doubt that you would find a more affordable DSLR with these features and specifications, no matter how new. It also has WiFi and NFC connectivity options that make shooting and sharing as easy as pie. There are no complaints about the image quality of an entry camera in this class. If you also want more color saturation by default, you can always set it to match your preferences. The T6 competes well on all fronts compared to its closest rivals. This includes design, operation, functions, ease of use and image quality. Overall, this is one of the best DSLR cameras under 500 dollars. 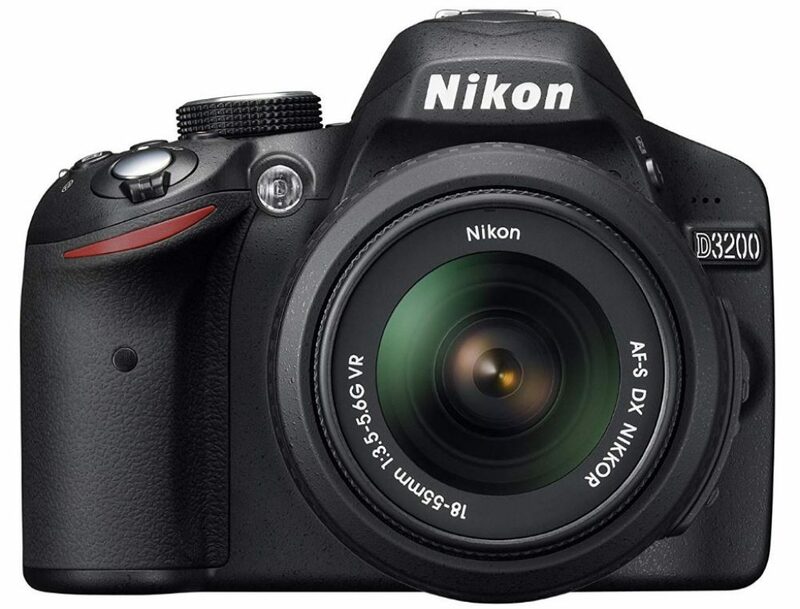 My fourth choice is a high-quality Nikon DSLR aimed at enthusiastic entry-level photographers. 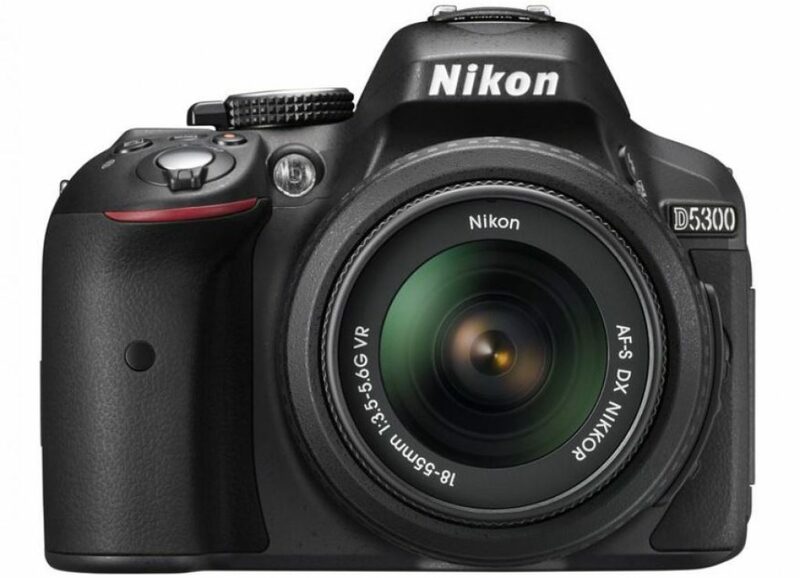 It is easy to compare the Nikon D5300 for the D5200 at a glance – the appearance can be deceitful. The new 24.2-megapixel sensor with high resolution is not a small detail. Other improvements include better JPEG images and video recordings. Thanks to the EXPEED 4 image processor, the life of the battery is extended. It was also nice to see the built-in WiFi because it is not found in all entry-level DSLR cameras. Photographers who make long shoots enjoy the build quality and ergonomics of the D5300. I found it comfortable and natural in the hands, and not at all sticky. There is a nice firm feeling to this camera. This is probably due to the high-quality plastic that they have reinforced with carbon fiber. The image quality is another plus for this entry-level DSLR. It has a good resolution (detail) and has impressive high ISO performance. There is even an option to shoot in RAW format. My biggest disappointment with the Nikon D5300 is the 3.2-inch hi-res LCD screen. The reflection and glare of the shiny surface are too much under brighter light conditions. Overall, this is one of the best DSLR cameras under $500. 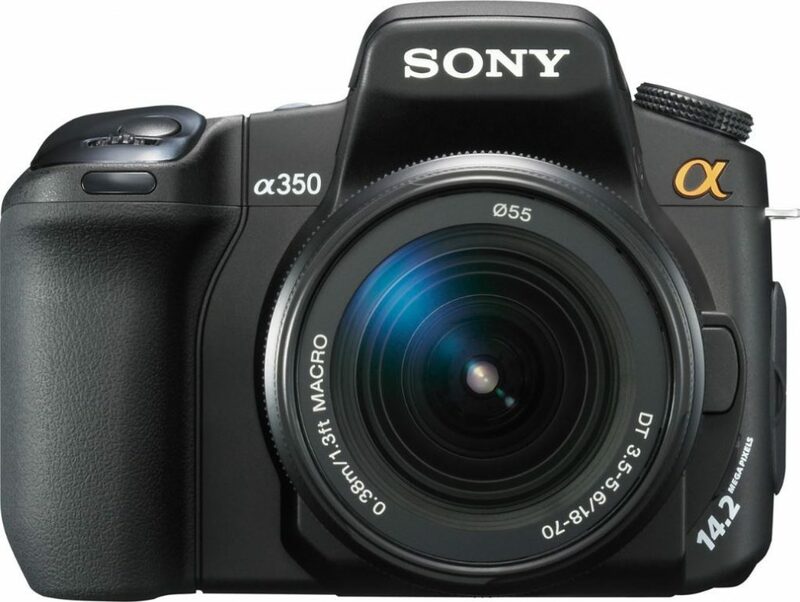 The Sony Alpha DSLR-A350 does not share the same popularity as its competitors from Canon and Nikon. Nevertheless, I found the image quality easily comparable with Canon’s EOS 40D and XSi DSLRs in particular. There are plenty of “like new” bargains around for less than $300. Many features of this DSLR caught my attention, but I will not go into the micro details of them all. It is also a good solid product. One of the first things that struck me was how Live View did not affect the AF speed. That is not something that all cameras can boast. The Super SteadyShot of the camera does a great job in stabilizing images. A brand new model is attractive on the prosumer level, but high-quality cameras are also popular with newcomers. The DSLR-A350 is easy to learn, easy to operate and has a good grip. I also noticed how the sensor tracked the detail, consistent with no big noise reduction at the lower ISOs. The performance of Jpeg from the camera is excellent and the printed images are also good. A few other points worth mentioning are the fast USB transfer, fast AF and pop-up flash. Overall, this is one of the best DSLR cameras under $500. The Pentax K-30 is my favorite camera from a viewpoint of aesthetics. We are so used to the completely black or black and silver models that these new colors are a relief. The looks of a camera are not relevant to some people. Others appreciate the beauty of design and precision engineering. And let us not forget that many photographers wear digital SLRs around their necks all day long. All in all, the K-30 is probably the best DSLR performance from Pentax. It is not only a beautiful product. This camera also has many impressive features. It was as if I were returning an old friend the moment I held the camera. The lightweight compact design was in the hands as if it had been made to measure. He is also sturdy and he has weather seals. The price, capable features and aesthetic appeal make the K-30 a true winner in my book. The 16MP Sony sensor is one of the main attractions. Others include UI improvements and improved video. A K-30 DSLR is for anyone who wants a quality camera that looks great and is easy to use. It is an ideal choice and one of the best DSLR cameras under $500 for those who prefer a small, lightweight camera with decent image quality. Nikon’s D3400 is another high-quality entry-level SLR for less than $ 500. It was the expected upgrade to the older D3300, but there were no big surprises on the front of the functions. What this camera shines on is the improved usability and image quality. Both things are much more important than all the bells and whistles that do not do much more than sound good. The price-quality ratio is undeniable given the strong performance and user-friendly appeal. It looks like a professional camera, but it will not intimidate new users as soon as they pick it up and turn it on. The body is small and has a neatly compact design that you can not appreciate with the promotional images. The image quality is excellent and the single-shot AF is reliable. It is a nice DSLR for beginners to use. One of the biggest disappointments was the absence of wireless connectivity. I was not impressed with Nikon’s SnapBridge connectivity, which slowed down the camera. It is also limited in function. 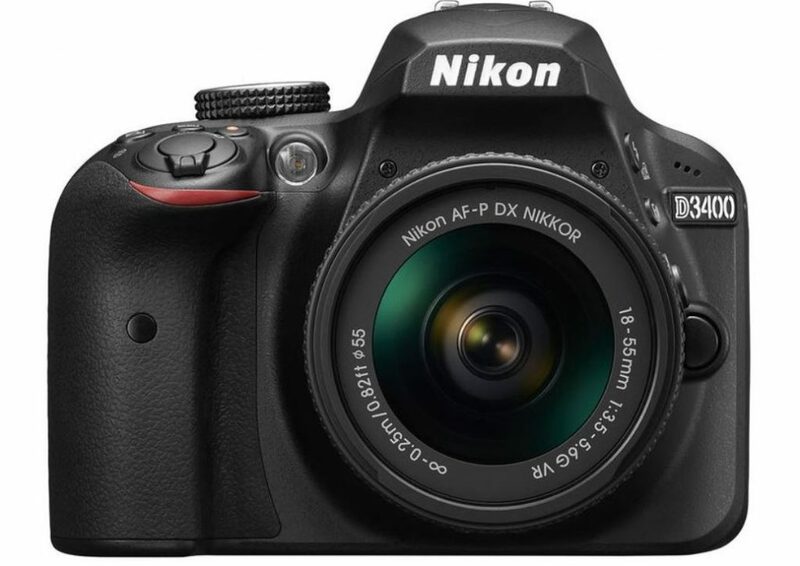 Overall, the Nikon D3400 is an excellent choice for photography at the entry level and is one of the best DSLR cameras under 500 dollars. We are back at Canon again, this time it is the EOS Rebel SL1. It is another lightweight and compact DSLR focused on the entry level. The image quality is excellent and comparable with Canon’s T4i / T5i. A few things caught my eye with this capable little camera. I found the autofocus consistently fast and accurate. I mention this because not all autofocus systems are equally good or reliable. The live view is also decent. Too many cameras suffer from Live View lag, but it does pretty well in comparison. And the simple touchscreen feels familiar with its range of digital controls. The Canon EOS Rebel SL1 feels like an old friend when you are familiar with the touchscreens of the camera. It may be a small DSLR, but it is still easy to use, even with larger hands. You might consider this camera if you want to capture images and record videos in Live View. Those who need extra bubbles, whistles, wireless connectivity, and an articulating screen will probably miss it. But overall, the EOS Rebel SL1 is one of the best DSLR cameras under $500. This is undoubtedly the smallest weatherproof, dustproof DSLR that is available now. The Pentax K-S2 is a boxy camera with a deep, comfortable grip. It floats around the sign of $ 500, so it just came on this page. It also appeals to a broader public. You can also order this camera from an abundance of finishes. For example, you have color options, subtle LED rings and different decorative accents to boot. The K-S2 DSLR has a broader range of advanced features compared to some other picks. There are dual-controlled wheels, full body weather seals and a viewfinder with 100% coverage. Compared to its predecessor, the K-50, the K-S2 is faster and has a large number of functions that the previous model lacked. These upgrades are all things that have made photographing photos easier and more fun. 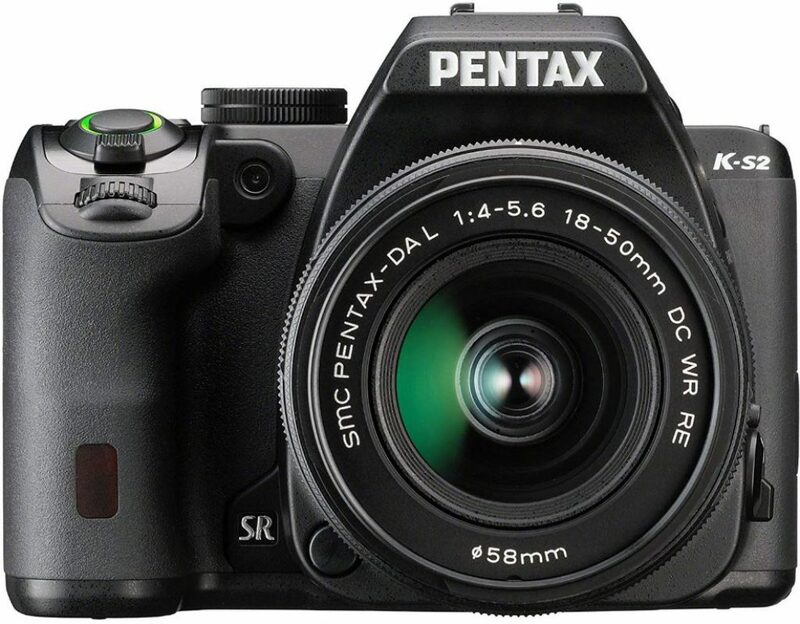 Being one of the best DSLR cameras under $500, the K-S2 from Pentax still does not sell as well as its more famous rivals. I still think it can compete with Canon and Nikon when more people give it a chance. You will not find any new Konica Minolta Maxxum 7Ds below $500, but there are plenty of new models for less than half the price. The Maxxum 7D is a camera where ‘used’ is a sensible investment. The first thing that struck me when I picked up one of these cameras was the build. It is certainly a sturdy camera. The disadvantage of this is its weight, and it is not lightweight at nearly 30 oz. I am not a big fan of big cameras on long shoots, but here I will make an exception. 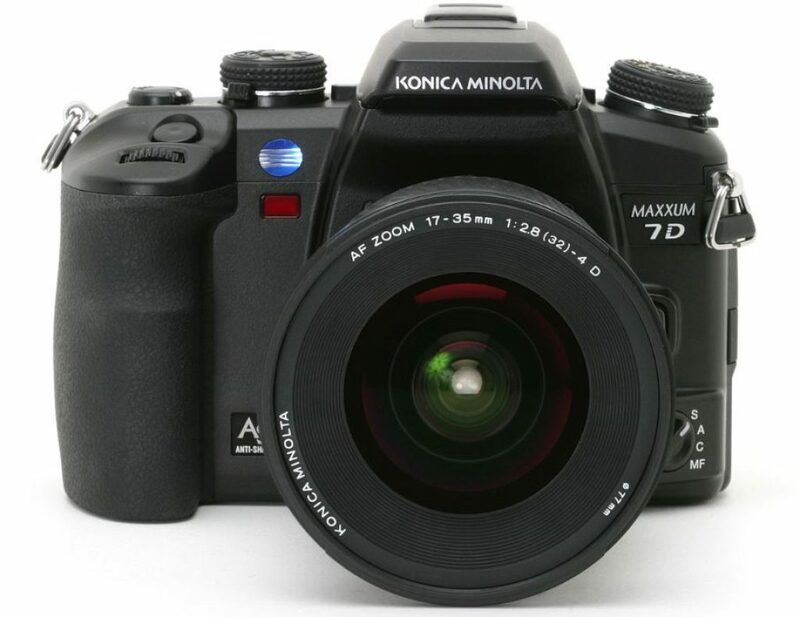 The Konica Minolta Maxxum 7D produces images with stunning clarity, colors and fine details. The battery life is also impressive, and that is something we all want on our checklist. For storage options, the camera takes affordable CF cards (CompactFlash) with it. This DSLR comes with built-in image stabilization, which seems to work well. Every form of image stabilization is always welcome, especially in low-light photography. However, there is no video recording with this camera. It is a tool for the photographer without any advantages for videography. It is also quite complicated for the unedited beginner to understand. These are the 10 Best DSLR Cameras Under 500 Dollars, and no two models are the same here. The camera that suits you depends on your specific photographic needs and expectations. Every Digital-SLR on this page brings something different to the table. No product has everything, but there are certain cameras that have everything you need. The purpose of this article is to help you make better purchasing decisions. In some areas, you may have to compromise. There are many things to consider when you are looking for one of the best DSLR cameras under $500. So make sure you make a checklist with preferences. Do not forget to check the video quality and options if that is important to you. Only you can know what you want or need from these incredibly capable entry-level DSLRs.